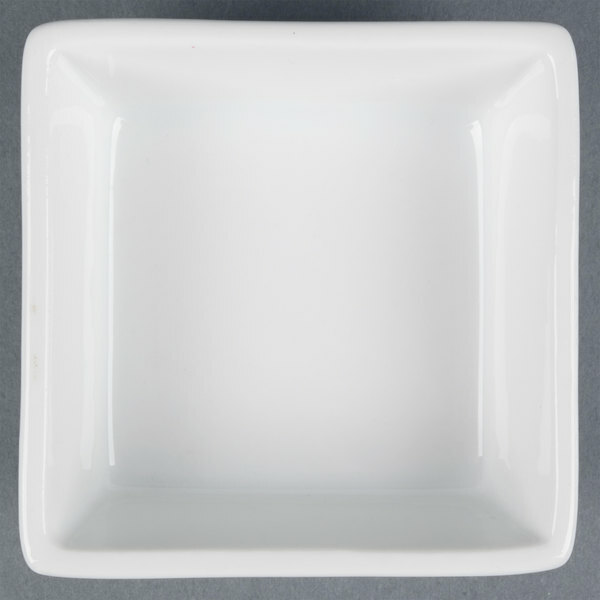 Use this bright white Fortune china 22 oz. 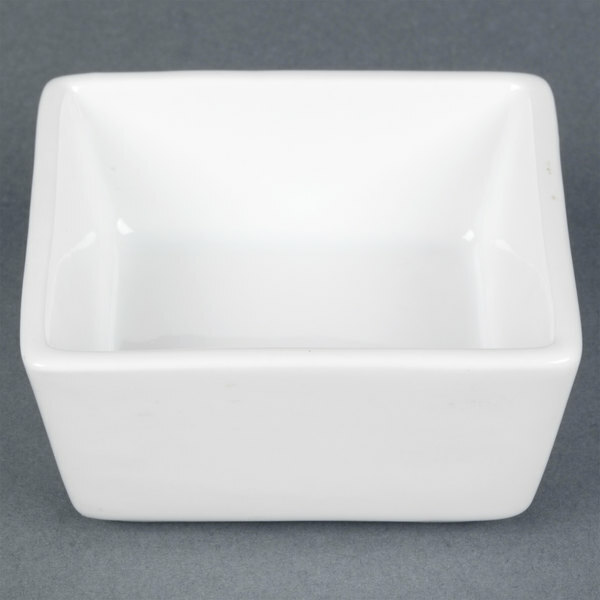 square bowl to complete your tapas or appetizer service! 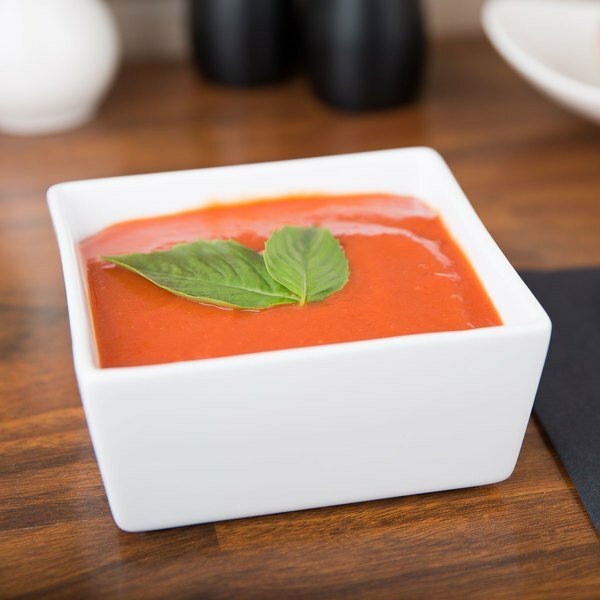 Like the rest of the Fortune line, its simple lines will let your cuisine be the star! 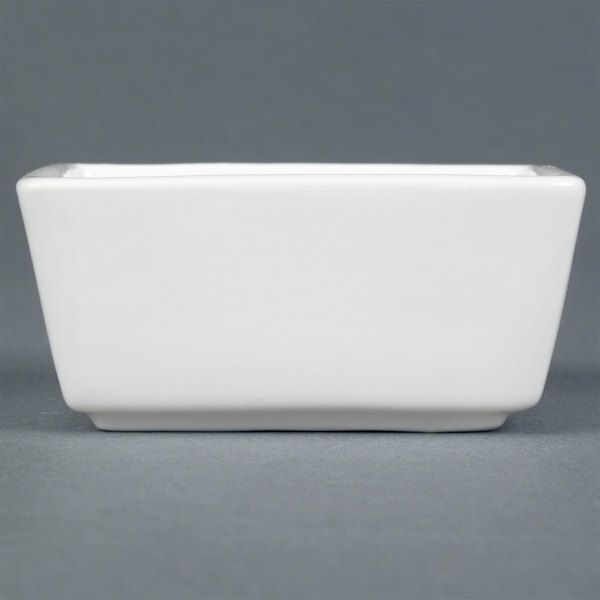 With its contemporary square shape and bright white finish, it will contrast the foods that it is holding very well. 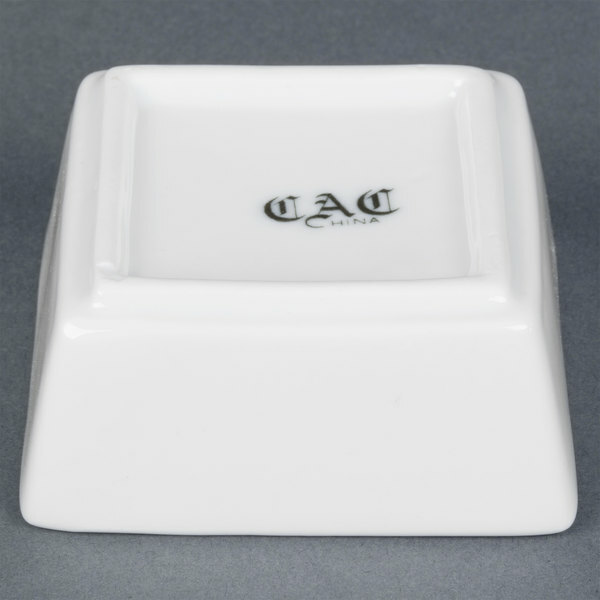 The rolled, rounded edges provide a soft look as well as make cleaning quite easy. 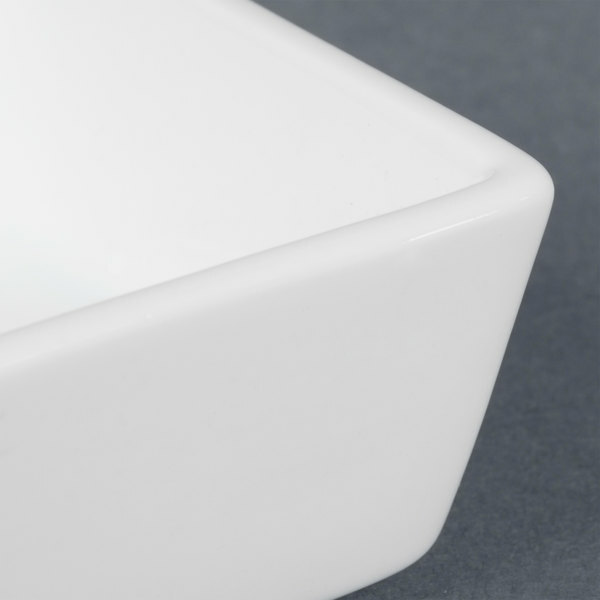 Your customers are sure to appreciate the timelessness and class of the porcelain construction, and you'll appreciate the durability that comes with it, including a 1 year edge-chip warranty!